VIPAccessEXCLUSIVE: Jake Allyn Interview With Alexisjoyvipaccess At The Lollipop Theater Network’s Superhero Walk! One incredible show has definitely made a touchdown on the renowned BET network and we’re talking about the exceptional show, The Quad. We all can proudly say that The Quad is one of our favorite shows ever. Each of the episodes are so interesting and captivating and the excellent cast-members do such a stellar job bringing each of their characters to life. Well, we have some amazing news for all of you The Quad fans as the spectacular show has just been picked up for a second season! That means we all get to look forward to even more exciting episodes filled with a whole lot of compelling moments and more drama. Of course, we are super excited to see what is in store for BoJohn Folsom in this second season. The immensely talented actor who takes on the role of the terrific quarterback on the show is none other than the outstanding Jake Allyn. Jake Allyn has such a natural and genuine talent and he always leaves fans in awe with his impeccable acting skills and sensational projects. The wonderful Jake Allyn definitely gives viewers an extra reason to watch The Quad. In addition to working on The Quad, Jake Allyn also stars in the much anticipated movie, Overexposed. Needless to say, Jake Allyn manages to make every project that he is a part of a magnificent one and something that fans can’t help but watch over and over again. With his charming personality and his phenomenal gift for acting, it’s clear to see why Jake Allyn’s success continues to skyrocket in the entertainment world. I, Alexisjoyvipaccess had a fantastic time covering the Lollipop Theater Network’s inspiring Superhero Walk and had a great time catching up with and interviewing the awesome Jake Allyn again at the event. Jake Allyn dished exclusively to Alexisjoyvipaccess all about what he would like to see happen to his character in this second season of The Quad, who he would like to see guest-star on The Quad, what it was like for him to show his support at the Lollipop Theater’s marvelous event that helped bring happiness to pediatric patients fighting chronic illnesses, and so much more only in our VIPAccessEXCLUSIVE updated interview. Jake Allyn even revealed which superhero he would like to swap lives with for a day – hear what he had to say in our VIPAccessEXCLUSIVE updated interview below. Thanks for another fun interview, Jake – always a blast chatting with you! Check out my VIPAccessEXCLUSIVE updated interview with the remarkable Jake Allyn at the Lollipop Theater Network’s Superhero Walk below! Previous VIPAccessEXCLUSIVE: Melissa Carcache Interview With Alexisjoyvipaccess At The Lollipop Theater Network’s Superhero Walk! 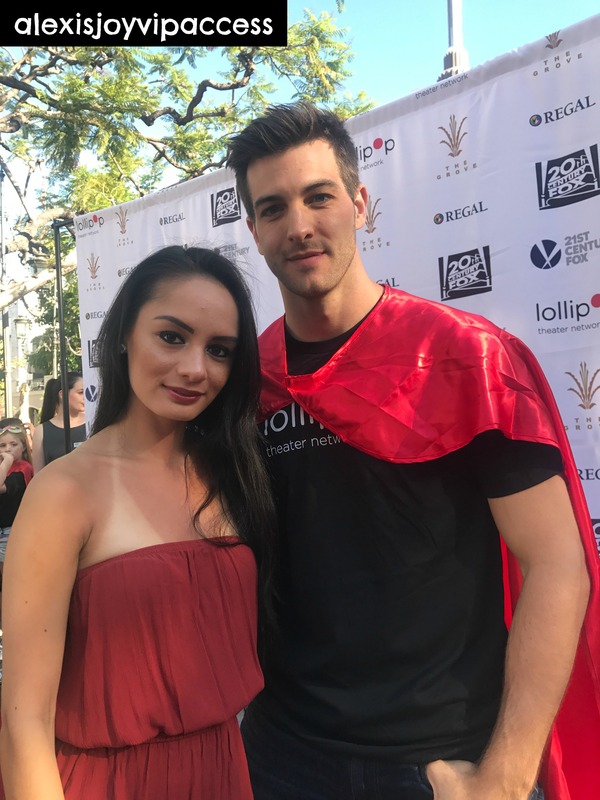 Next VIPAccessEXCLUSIVE: Jacob Hopkins Interview With Alexisjoyvipaccess At The Lollipop Theater Network’s Superhero Walk!